With its strong Italian roots, it's no wonder couples across Italy spend Valentine's Day expressing their love for each other. 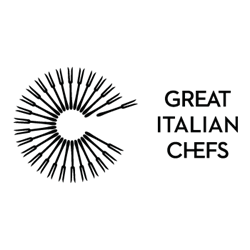 Find out more about some of the Italian traditions celebrated on 14 February. Romeo and Juliet, gondola rides, beautiful architecture – it’s no wonder Italy is often named the most romantic country in the world. The language itself is so expressive and emotional and Italians are known for announcing their love to one another publicly and showing their feelings. Naturally, Valentine’s Day – known as la festa degli innamorati (the day of lovers) is highly celebrated in the country. While the usual traditions of giving cards and presents to each other is an American import, there are lots of older, truly Italian rituals that have been commonplace for centuries. After all, Saint Valentine himself is the patron saint of Terni, in Umbria. While there are several different schools of thought on who Saint Valentine was and why we celebrate his life in February, there is one that is generally accepted today. The Roman emperor Claudius II decided to outlaw marriage during wartime, as he believed it made his soldiers weak in battle. However, a Christian man called Valentino born at the end of the second century in Terni went against this law, marrying young couples in secret. He was discovered by the new emperor Aurelian, and executed. At the end of the 5th century, Pope Gelasio decided to replace an old pagan festival centred around fertility in February with a day commemorating Valentino, who was also canonised and named a saint. Valentine’s Day has been celebrated ever since. Italy is home to some of the most romantic destinations in the world. On Valentine’s Day, as well as all the romantic meals, gift giving and hotel stays, there are festivals held across the country celebrating everything to do with love. One of the most famous is in Verona – the place in which Shakespeare’s Romeo and Juliet is based – where the main square (piazza dei Signori) is adorned with a giant red heart. Heart-shaped balloons are given out, there are performances, concerts and events held throughout the city and there is a competition over who can write the best love letter to Juliet, with the winner announced on the balcony that supposedly appears in the play. Elsewhere, the Eventi Valentiniani in Terni is spread over six weeks, beginning on 1 February. The festival centres around chocolate, which is sold throughout the city in all shapes, sizes and flavours to keep spirits up in one of the coldest weeks of the year. The life of Saint Valentine is also re-enacted in full costume in the streets, and people can pay a visit to the Basilica of St. Valentine, where he was buried just outside the city. Giving chocolates to one another is a tradition followed all over the world, but the most popular variety exchanged in Italy is called Baci Peruginai, little chocolate ‘kisses’ that contain a cherry and a little love letter inside. Venice, Florence and Rome are romantic destinations whatever time of year it is, but around Valentine’s Day the number of tourists blooms with loving couples treating themselves to a quick getaway. Just walking the streets of these magnificent cities is an incredibly romantic experience. One tradition that is starting to make waves across Europe is the act of attaching lucchetti (padlocks) to bridges, railings and lampposts. A couple will write their initials on the padlock, lock it onto something in a public place and throw away the key. 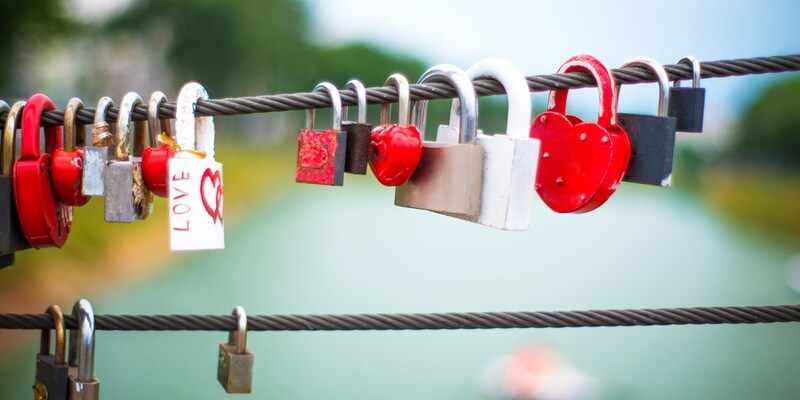 This became especially popular after the release of a best-selling book called Ho voglio di te (I Want You) by Federico Moccia, which was later made into a film, focusing on a young couple who attach their lock to Rome’s ponte Milvio to ensure they’ll be together forever. This led to thousands of padlocks appearing on the bridge, which then had to be removed as they became too heavy for the supports. It is now illegal to attach padlocks to many Italian monuments or bridges, but thousands more always appear every year.